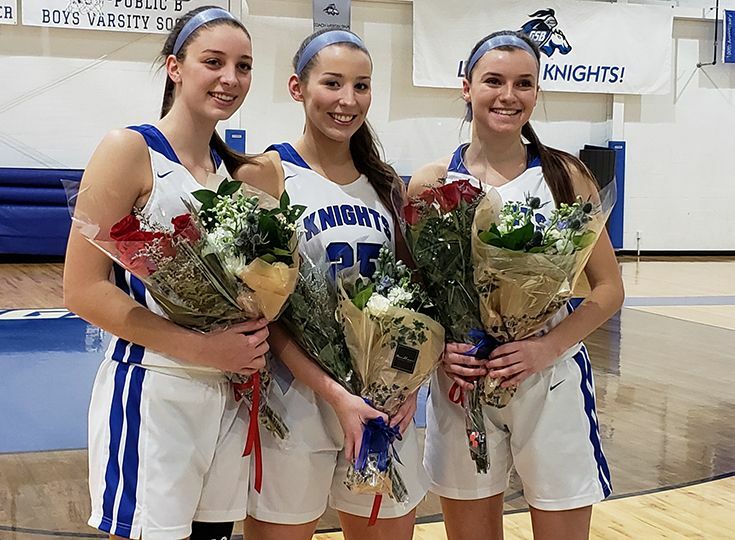 The girls’ basketball team was able to make “Senior Night” even more special as the Knights pulled out a tough 43-40 victory over Bridgewater-Raritan. 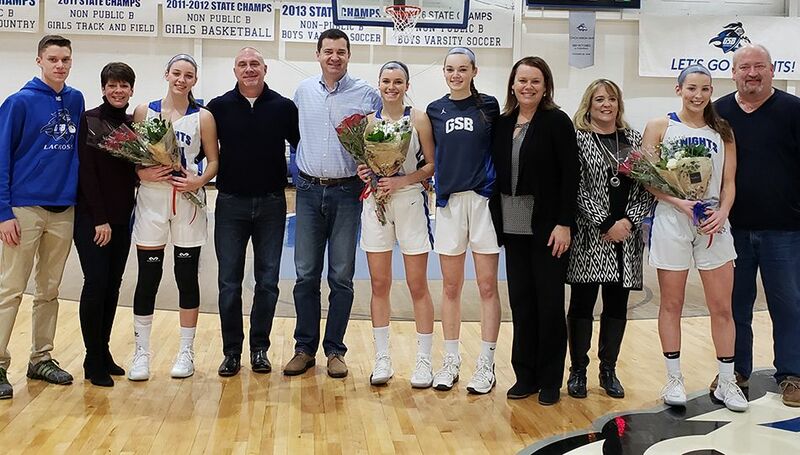 Before the game started, seniors Emma Fetrow, Gillian Fritzlo, and Hayley Goldin took the court with their parents and were honored with flowers for all of their hard work and dedication to the basketball program. After the ceremony, the Knights had to battle a determined Bridgewater-Raritan squad in what turned out to be a defensive game. Leading the way for Gill was Caileigh Walsh ’21 as she recorded 20 points, 11 rebounds, and four blocks. Also recording strong contributions to help secure the win were Devyn Scott ’20 with 16 points, five assists, and seven steals and Fetrow with seven rebounds. The win improved the Knights’ record to 8-7 on the season, and they are currently in second place in the Skyland Conference Delaware Division.